Special editions There are 16 products. 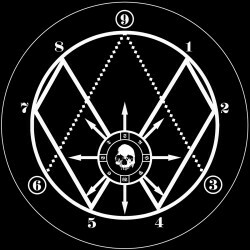 SABBAT / HERETIC - Split Picture EPSABBAT / COUNTESS - Split Picture EPSABBAT / PENTACLE - Split Picture EPSABBAT - 黒呪炎 7" EP The complete trilogy + bonus 7"at discounted price. 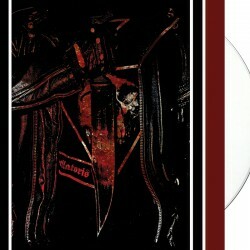 SABBAT / HERETIC - Split Picture EPSABBAT / COUNTESS - Split Picture EPSABBAT / PENTACLE - Split Picture EP The complete trilogy at discounted price. https://youtu.be/xI2VXaoP_Fg https://youtu.be/3JI8GFHlnbQ NEP63: Cassette album 'De Grote Sterfte' by Dutch horde GEVLERKT. Limited to 100 copies on pro-tape. Silver print on black cover & tapes with bag. Exclusively available at the webstore. 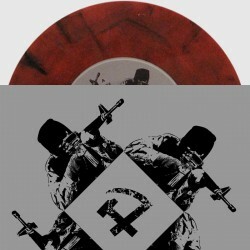 Limited edition, one-sided 12" including the 'Apocalypse War' mini on 45rpm with supreme, vinyl mastering! High gloss cover with PMS silver print and inlay. LAST COPIES! 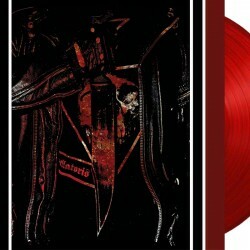 Limited edition RED vinyl 7" EP with inlay. Limited edition WHITE vinyl 7" EP with inlay. Other INTOLITARIAN releases can be found here. - Slightly altered 2nd press of 100 copies A selection of CIRCLE OF OUROBORUS lyrics from 2006 to unknown aeons. All Finnish lyrics translated. Softcover book, 100 A5 pages. 99 custom-made A5-digipak copies are in existence. This collectors edition was given little attention when it was released and most ended up with close comrades. Here is your chance to still get one. They are name-numbered to each individual buyer. Black silk-screen on black cardboard. Industrialized, nihilist assault Metal. 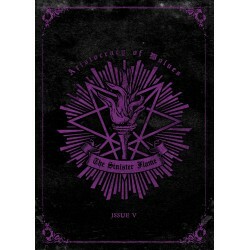 Limited to 350 copies. AIDS-infected vinyl. Sturdy black box with silver-foil, embossed printing holding 12 albums on professionally printed, shrink-wrapped cassettes with full-colour covers. Limited edition of 188 boxes! Last copies! !